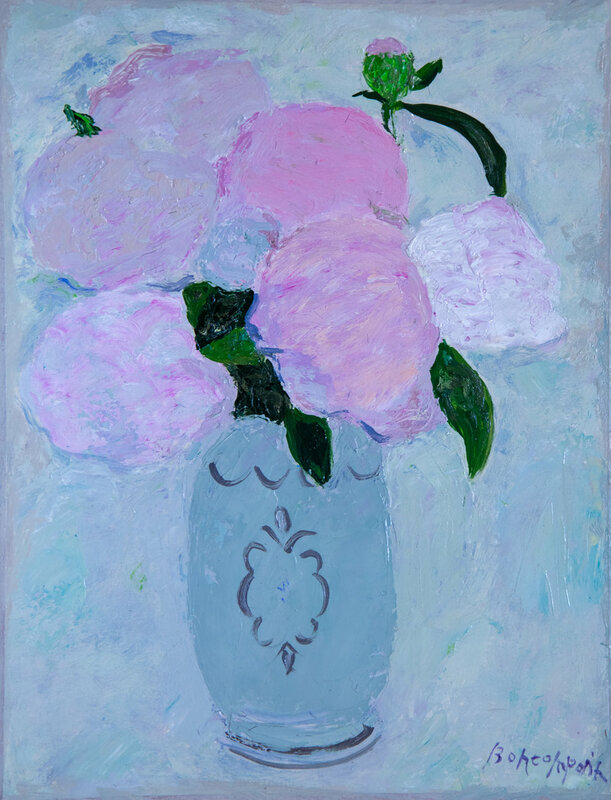 We are delighted to inaugurate the spring season with the debut of recent floral, still life paintings by Pierre Boncompain alongside a special selection of work from the artist's personal collection. This survey of classic themes includes early examples of the figure, still life and landscape. Pierre Boncompain inevitably returns to explore a beloved repertoire of motifs. He unfolds them for us --and sees them with us --with each new painting. A bouquet of flowers, a landscape, or a female body—each motif plays into a score or a refrain he activates. What can such motifs mean today? Is there anything new to be gained from the portrait, the still life, and the landscape—these classic motifs of painting? Pause for a moment with this question and consider how we live in a time where digital media serially reproduce images and we then share them in memes and select them through algorithms until we see every image primarily through its likeness to other images, reducing everything to visual information. In contrast to the way such likenesses scatter our attention across vast spaces of information, Boncompain’s similar motifs capture it. They urge us to gradually look closer—to notice each painting for what it is—and to realize what is captured within and between each painting. The exhibition will hang through April 2019. In the news: The exhibition From Renoir to Picasso, Boncompain and the Great Masters, at the Château des Adhémar in Montélimar, France has been extended through April 21. 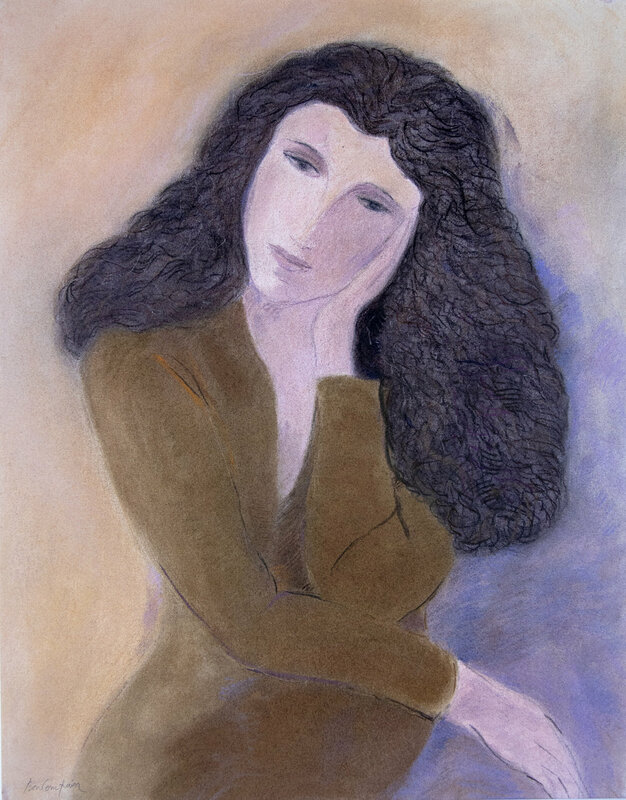 The exhibition includes Boncompain’s own work alongside master works from his personal collection. 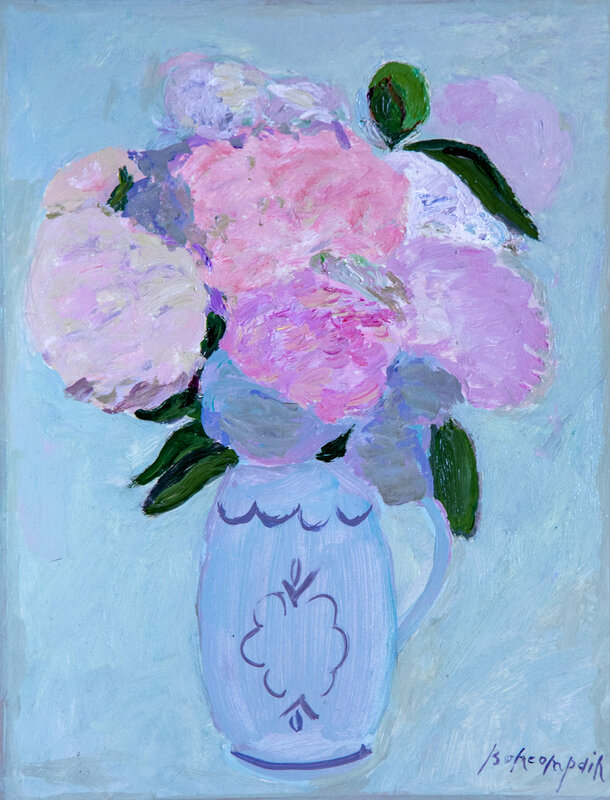 Pivoines rose, oil on canvas, 18 x 13 in. *EXHIBITION EXTENDED to APRIL 21, 2019! 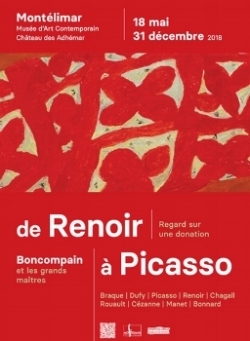 An exhibition including the work of Pierre Boncompain alongside master works donated from his private collection. In conjunction with the drawings, the Château des Adhémar will exhibit examples of Boncompain’s tapestries and ceramics.